Hello everyone, this may seem a bit off-topic but it's a nice topic and I wondered if you might share some thoughts with me. What do you love / hate in and about soap. Shape, fragrance, packaging etc. Which are your favourites and why? 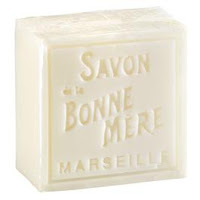 The thing is I am thinking of having a go at making some because I'd like to pop a little something in with parcels as a nice little surprise extra, and I thought soap might be a nice thing. So - this is my chaotic piece of market research! I'd be ever so grateful for your thoughts, and do ask your friends too. I too, like them natural without chemical nonsense. I love the smell of almond, I really like natural muted colours, no bright colours for me. I like all sorts of shapes if they look handmade. As your parcels will often be going to people with little people you will have to of course be careful of any skin 'allergies', so all natural as possible. You could always see about making a transfer of your cottontails logo that you could put onto the soaps somehow, to keep with your branding! So sorry I've not been by for ages, I hope you're well. I think in soaps I like natural fragrances (as in, if it does have a perfume I prefer proper oil instead of a fake version). And I love them to be wrapped in pretty paper, I hardly ever use hard soap but I love it to look nice on the shelf :) I think it's a brilliant idea to go in the parcels. I love soaps with exfoliants in them. Not a fan of flowery scents-- mint is really nice and refreshing. I prefer soap in rectangular shape, for the most part. I haven't ever really thought about this one. What a cute idea! Homemade soap is wonderful. Hi Charlotte! Thank you for visiting my blog and leaving such a sweet comment! Soap. I love the smell of lemons. I wish we could find more lemon scented products. I like my bars of soap BIG, too. We hopped by to say "hi" to Humphrey! "HI!" One of my most favourite little shops is in a lovely little hut in the Buckinghamshire countryside; you step inside and take in the most loveliest smells of soap - the Littlecote Soap Co, founded by Elaine Stavert. I really recommend having a look at the website www.littlecotesoap.co.uk - there is even a book you can buy full of information for making your own soap. Have fun! There is a place called herbal linea http://www.herballinea.co.uk/ that make very pretty natural soaps, it's worth looking at their website for ideas. Many thansks for your kind thoughts and prayers, they are very much apreciated. Re our emails, you still need the assessments if you are giving the soaps as gifts and not just selling them. Although I understand the reasoning behind all the new regulations, it is proving troublesome and expensive! If you can get a hold of a copy of a book called "handmade soap" by Tatyana Hill its lovely, she has the savonnerie shop in London who make some of my favourite soaps.